It is challenging to get people’s attention in this age of information overload. If the title of this article got your attention, it probably means you are experiencing the turbulent environment of overwhelm and change that many companies of all sizes are experiencing today. Do you ever feel like you are experiencing Class III, IV or V waves and you are paddling fast and hard to get through them on what you hope to be your sturdy river raft? In the midst of the whitewater, it feels like the only way to survive is to release your raw adrenaline to produce superman’s (or woman’s) strength. But what is needed to survive (or better yet, to thrive) in the whitewater climate we are experiencing in business today is calm command of your mental, physical and emotional intelligence. 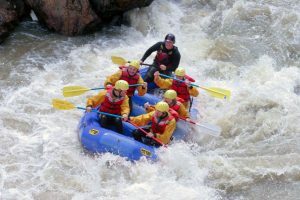 Adrenaline might be sufficient when the rapids are few and far between and distanced by long smooth stretches where it is safe to be on cruise control. But in today’s business climate, whitewater is the norm and the calm waters are rare. Today’s “whitewater” includes technology that allows us to be on 24/7, technology that can do some of the work better than people, globalization which means business opportunities and threats can come from anywhere, new generational influences entering the workforce, and on and on. It is also the disruption that constantly changes our business models, our strategies and our world as we know it. Some of the more popular examples of business “disruption” include Netflix disrupting the video rental world, Amazon disrupting the retail world, and streaming technology disrupting the music world. For companies to thrive in our current business climate, operating from and with true commitment and accountability is the road to success. Sounds easy, but as you already know, even with the best of intentions, it is not easy to achieve. If it were, we would be making our commitments 95% of the time. Are you achieving that standard? Personally? Professionally? As an organization or team? Most of us have very good intentions when we take on commitments or when we assign people work. We don’t intend to take on more than we could possibly do or give people more than we know they can handle (with a little stretch). But there are customers to please, deadlines to meet, new products to develop, etc., etc., etc. What is a leader to do in this untenable situation?! In this day and age, we are pulled in so many directions that it seems that everything matters. However, “the everything matters” strategy will not lead to a culture of commitment and accountability. What will lead you there is determining what really does matter…to you and then to your employees. If employees engage their hearts in their work (not just their heads) then they will be able to make strong commitments and be willing to hold themselves and others accountable. 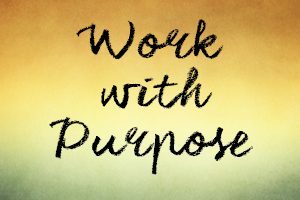 Leaders who have tied their work to their purpose, what they truly care about, tend to be inspirational leaders. If you are coming from that authentic place, it will be easier for you to help others come from that place as well. Have you ever said to yourself that you are going to do something (e.g., start working out, eating better, leaving work at a decent hour, write that article or book, etc.) and you really thought you were committed, but day in and day out you didn’t do it. Unfortunately actions speak louder than words and as it turned out, you were not truly committed. Whatever you commit to must be tied to something you truly care about or you will keep prioritizing other things. We’re sure you have noticed the difference between an employee with whom their work is tied to what they care about (e.g., learning and growth, achievement and responsibility, changing the world in a valuable way, etc.) versus the employee who is not engaged and is watching the clock and there for their paycheck. External performance is ultimately a reflection of internal commitment. This strategy seems simple enough, but in reality most of us don’t follow it. Instead we often work until we are ready to drop, fitting in one more meeting or to-do into our already full day. We don’t have time for exercise or healthy meals, but amazingly we do have time for the impromptu meetings that occur or the extra request that landed on our already full plate. We work with many leaders that are double or triple- booked in meetings, and have more on their plates than one could do even if they didn’t sleep. Which by the way is getting less and less of our time, even with the realization of how important it is to our health and our wellbeing. Some of us use substances to keep us going – caffeine, sugar, or other substances that we think will keep us going full speed ahead. In reality, they cause us to crash and burn or at minimum lose stamina after an initial uptick in energy. And our commitments suffer because we just don’t have the energy to deal with “that” person or the creative juices to do “that” thing or the focus to truly engage the brainpower we need. Or we just run out of steam and can’t complete all of the commitments on our plate. This strategy consists of developing a “Fitness Protection Program” that will ensure your energy does not get depleted and will result in resilience, stamina and the ability to energize others. It does take some discipline to focus on our mental, physical and emotional energy, but once you do, you will find your ability to make strong commitments and meet them shows up stronger than ever. In our global, competitive, and disruptive world we can no longer count on old predictable ways of doing things or tried and true solutions. We need to get very comfortable with uncertainty and ambiguity. We need to take (well calculated) risks and we need to think out-of–the-box more than ever. In other words, we need to be fast, focused and flexible – which means teams and team members can adapt quickly to what is coming their way. New information is coming at us all of the time, and we often have to change how we are going to meet a particular commitment to our internal or external customer. In order to operate in an uncertain or ambiguous environment, we have to discern between what we really know and what we don’t know. In uncertainty, it is easy to get distracted and unfocused. Instead, we need to put our attention on what really matters and not get constantly sidetracked by the seemingly urgent but not important. And we have to be able to trust and use our intuitive intelligence, which takes ongoing practice. The practical application of intuitive intelligence allows us to discover new ideas, imaginative solutions and sometimes never before considered options to guide us toward success. Our intuition empowers us to be agile and effective in every situation we encounter. Focusing on adaptability is about taking on the practices that will allow you and your organization to thrive in uncertainty and change and will enable you to greatly enhance your culture of commitment and accountability. This is a quote by Walter Truett Anderson, a political scientist, social psychologist and author. This final strategy that Anderson points to so well in the quote above is a focus on conversations. This is where so many of our breakdowns around commitment and accountability occur in organizations. When we have effective conversations, we are present and utilizing our head, hearts and bodies. Having effective commitment conversations include making effective requests, providing only valid responses, aligning on expectations or conditions of satisfaction, and acknowledging the completion of a commitment or providing an early warning. Again, all of this seems so straightforward, however, we see numerous ineffective requests made and invalid responses given in organizations today (e.g., requests made in emails with no valid response given). We see very few early warnings provided but instead people are hoping their missed commitments won’t be noticed. And, we often observe the other components of a commitment conversation missing as well. Seemingly little things can lead to large breakdowns. And when a breakdown in commitment does happen, accountability conversations are required and are even more rare in organizations. There are two types of accountability conversations needed: Responsible Complaints that are held one-on one, and Breakdown Conversations that are simple and to the point and held in team or staff meetings. Both of these conversations, when held effectively and consistently by leaders and team members, are culture changing. When you bring all four of these strategies together as a leader, you will be well on your way to creating a culture of commitment and accountability utilizing a holistic approach – engaging yours and your team members heads, hearts and bodies. These strategies will serve as your “paddles” to guide you through the whitewater of change and disruption. If you are interested in thriving as an organization versus just surviving and interested in finding out more about how to effectively implement these strategies: focusing on what matters, focusing on energy, focusing on adaptability and focusing on key conversations, we at Ensemble would love to partner with you to implement these strategies in your leadership team and throughout your organization. Excellent article. I especially liked the white water analogy and think it sets the stage perfectly. Congrats on your success with the BTI as well.